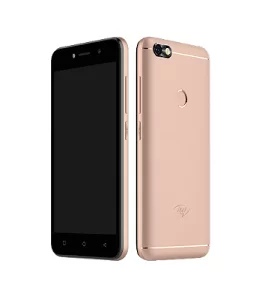 iTel A32F Specification, Image and Price in Nigeria, Kenya, Ghana, Egypt, Ivory Coast, Tanzania, Cameroon,Uganda, Pakistan, India, Bangladesh. The iTel A32F comes with a 5.0 inch display and boasts of a 1.3 GHz Quad core processor with Android 8.1, Oreo (Go Edition). It also comes with a 1 GB of RAM, an internal memory of 8 GB. It has a back/ rear camera of 5 MP and an 2 MP front camera with a 2050mah Li-Po battery capacity to push all this. Below are Online stores you can buy iTel A32F. The Online stores Jumia, Gearbest and Konga. $50 – $80 Check the Price in your country below by Clicking on Checkout Lowest Price to get the best deal and buy online. The iTel A32F comes with dual SIM slots and supports the 2G, 3G but does not support 4G LTE Band for its connectivity. It has inbuilt with it Wi-Fi capability and the ability to create Wireless Hotspots. The iTel A32F comes with a display of 5.0 inches. It uses the IPS LCD display technology. It has a resolution of 854 by 480 pixel. The display is quite good quality for phones within this price range. The iTel A32F boast of a Quad (Four) Core processor clock at 1.3 GHz, the chipset is the MediaTek. The GPU is the Mali. The iTel A32F also comes with a 1 GB of RAM, an Internal Memory (ROM) of 8 GB. The storage space can be expanded via the micro-SD slot (Maximum allowable Storage for Micro-SD is 32 GB and it uses a dedicated slot). The iTel A32F comes with Android 8.1, Oreo (Go Edition) out the box. The iTel A32F makes use a 5MP back or rear camera with LED flash and an 2 MP front camera with LED flash light. The iTel A32F has a battery with the capacity of 2050 mAh. The Battery uses the Li-Po technology and it is non removable. This battery could last for almost a day on an average heavy usage. It is normal, and it can be change in the settings. I will advise to take to a good phone technician to format the phone, it seems you do not have much idea, so I think that will be preferable. Thank Theophilus and wishing you all the best. If I charge my itelA32F while is off when is full if I on it , it will show 99%. And it will show 100% percent when I finish charging while is off and if I on it, it will bring 99%. And my battery drain so fast. I bought the phone November last year.not Even up to a year self. Please what should I do. The battery might have begin to weaken. Please when was the device purchased? The battery is weak, you need to replace it. Please do check, it might be due to the number of running apps you have and try to clear the cache. I only have PDF reader on it all application came with it, it was only PDF reader I installed on it . Try closing non used running apps in the background. please how can I disable USB debugging on my itel A35F in other to exchange some pics, audio and videos between my phone and my laptop??? Connect the device to a computer and disable USB debugging, or You could go the Settings, Advanced Settings and then disable USB debugging. How can I move some applications to SD card? My phone got locked. the inscription that appeared on it was privacy protection password. i flash the phone but still. i am about loosing great data . please help me out. Unless you can remember the unlock code, it might need to be flashed as that will the sole solution. Please this will be fixed in future updates. The charger you are using might be faulty and not the original charger or recommended charger for the phone. please how can I move some apps to my SD card on itel a32f? whenever I charged my itelA32F phone, it always hang or freeze. why? And how can I cure it. New update will soon be available to fix this issues. Please how do I change the font style on itel A32F? Please, how can I rotate image file on itelA32F phone? Set your screen orientation to change on rotation, then just rotate the phone and the image orientation will change. You could use a app, any image editor and you easily rotate the image. I want to buy itel a32f and am in Anambra so what is the price.? Please how many brand of itel a32f you have? here non removable battery in another site removable battery, then which is true version of it android 8.0 or 8.1? Will update soon, please do stay online. What about the battery life of itel a32f here we have 2050mha, at market I saw 4000mha, please clear that and durability at work. The battery capacity according to manufacturer is 2050 mAh. Due to the small capacity, it will not last that long, but time taking to full charge will be low. pls what is the picture quality of a32f? I the pictures for both selfies n the back camera are the same? Can I swap my itel p51 that is 4 months old with a32f. Unless you check out stores that will allow you swap it.